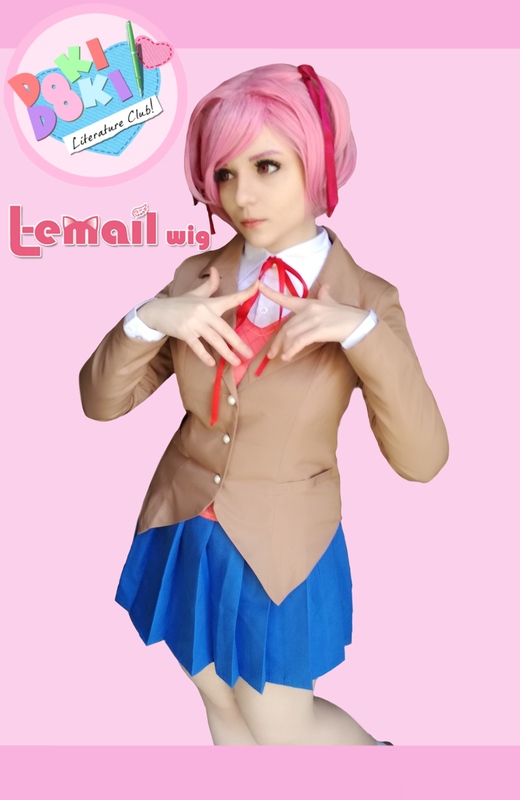 I already made a review for L-email Natsuki wig, so here we are with the Doki Doki Literature Club uniform one! 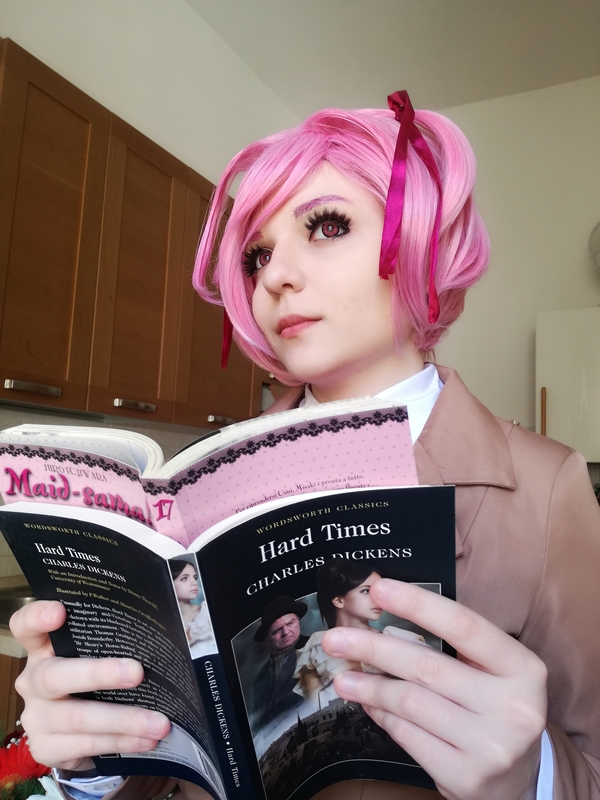 I have to say I’m really impressed with the quality of this cosplay, this is amazing for a cheap costume like this one and it is totally worth. 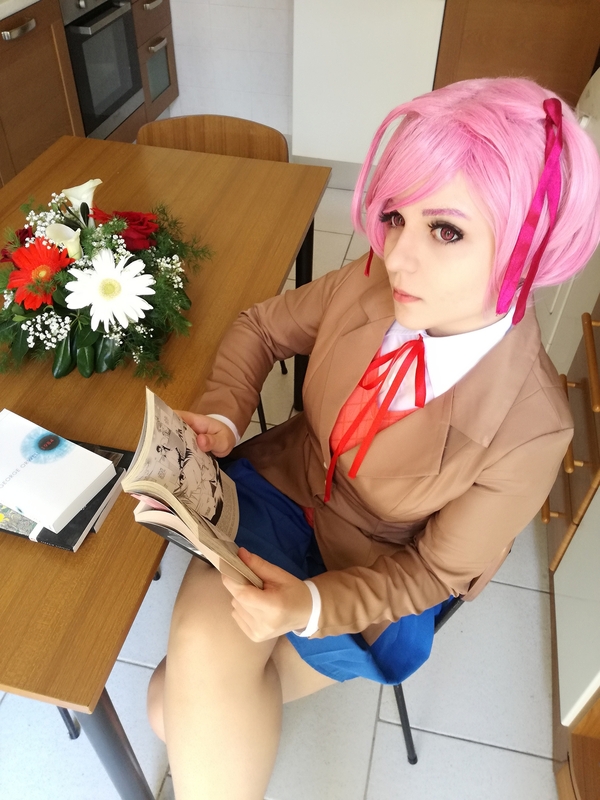 The price is super cheap, just 26.66$ for a full uniform with bluse, cardigan, jacket, skirt and even the ribbon. The color of every part of this costume matches perfectly the color pattern of the game and is exactly like the original one. I really love how accurate this costume is even in the smallest details, like the buttons on the jacket, which have a beautiful gold and pearly style. The cardigan is in lycra, it is strechable with a printed pattern to make it similar to the game effect! 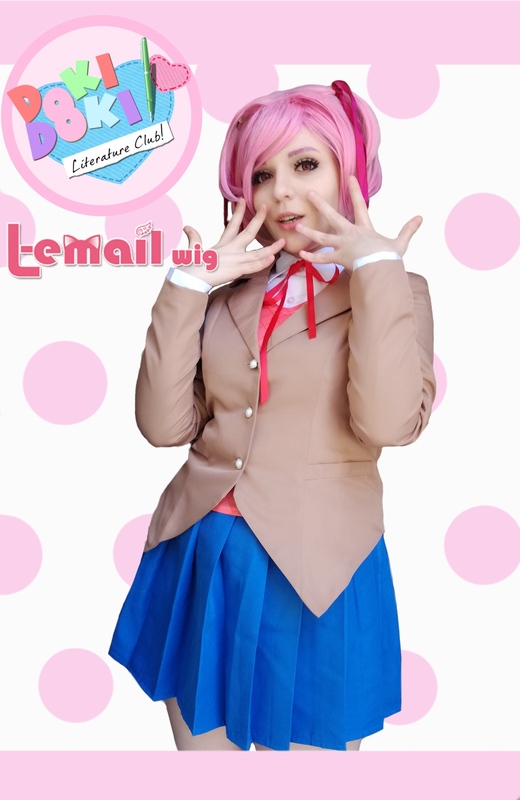 This entry was posted in Cheap Cosplay Costumes, L-email Wig review, L-email Wig Sponsorship and tagged ddlc cosplay, lemail costume review.